We have experience in the industry to prove that we can progress you to a higher level. "We’ve been working with the Convertus team for a year and continue to see positive growth at the dealership. Their campaigns have helped us consistently generate more leads and take advantage of previously untapped platforms. The Convertus team is always on hand whenever we need them, and operates with high levels of professionalism and integrity. The team at Fox Harley-Davidson is very happy to have formed this partnership with Convertus, and we look forward to continuous advancement"
Our Google AdWords and Microsoft AdCenter training offer a significant advantage to our clients. Beyond our in depth knowledge of these platforms, we are recognized as industry experts by Google, Facebook and Bing. From basic account setup to advanced bidding strategies, let our team show you how we are uniquely positioned to deliver you results. 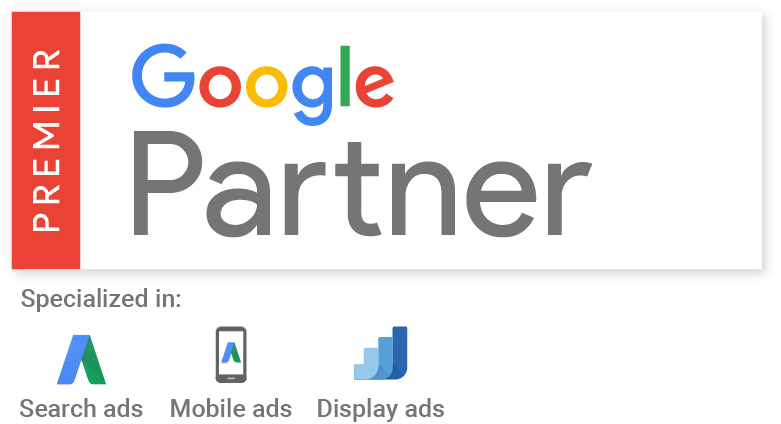 A Google Partner is an industry professional that shows a comprehensive commitment to maintaining their reputation and following best practices. Google awards these certifications after a rigorous set of tests, designed to ensure that each Partner is an expert in the field. By ensuring that only professional organizations earn this designation, Google has made it easy for you to identify the right company to do business with. Google Partners know the web, let a certified expert manage your online marketing so you can focus on running your business. What is a Bing Ads Accredited Professional? The Accredited Professional designation for Bing Ads is a mark of distinction in the industry. Beyond Google certification, gaining Bing accreditation shows that a company has a broad understanding of what it takes to be successful in today’s competitive search market. Bing maintains a thorough curriculum of training and testing in order to earn this endorsement. So ensure you select a partner that has been both recognized for their outstanding expertise and is committed to your success. Partners stay up to date on the latest Google tools and products by passing Google administered certification exams every 18 months. Proven success is what puts Partners above the rest. We use industry best practices to manage campaigns and focus on helping you get the most out of your marketing budget. Partners stay ahead of the curve by working directly with Google. With access to training and product updates Convertus stays on top of what’s going on with Google. Go on, click the button to learn more about the solutions that are driving results for dealerships across Canada. "We were getting increasingly frustrated with our last website provider, who were failing us on multiple levels. A priority for us was to find a website partner that would deliver attentive customer service, but also showed they had the technical expertise to hit all the marks. What we got was a hands-on approach in developing websites that set us apart creatively, while at the same addressing technical issues that were causing our sites to underperform. Simply put, numbers don’t lie, and the results we’ve seen are evidence, we made the right choice."